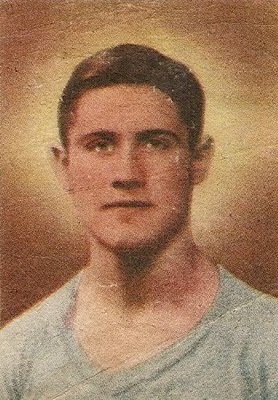 On 31 December 1939, Celta de Vigo defender Sansón became the youngest player in Spanish league history when he debuted against Sevilla. Francisco Baos Rodríguez, nicknamed "Sansón" because of his strength, was in his first season with Celta and was 15 years, 8 months, and 11 days old when manager Ricardo Comesaña gave him his first call-up to the first team for their away match at Sevilla to close out the year. It was a good start for Sansón, as Celta won 4-1, but he was unable to make it last, with only five other league appearances before leaving the team in 1941. Sansón later made a greater impact with Oviedo, with 115 appearances between 1945 and 1950, then returned to Celta, where he played in another 40 league matches in four seasons. He spent his last season with Xerez, then retired in 1956. Labels: CF Celta de Vigo, Real Oviedo SAD, Sansón, Sevilla F.C. 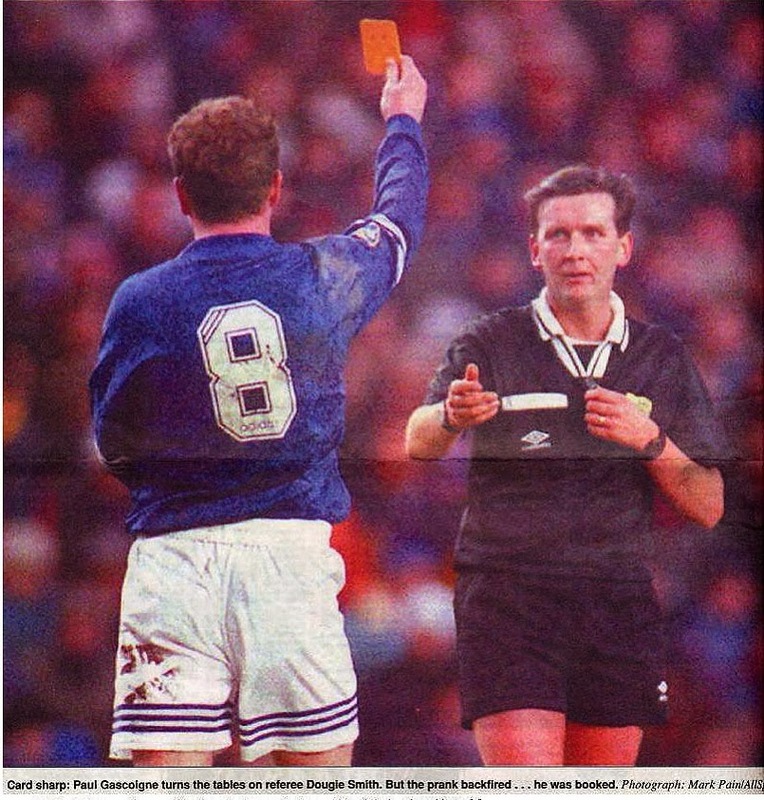 On 30 December 1995, Paul Gascoigne pretended to book the referee and got a real booking in return. The former Newcastle and Tottenham star was in his first season with Rangers and had helped them to the top of the Scottish table by the end of September. They were still there two months later when they hosted third-place Hibernian at Ibrox. Although the teams had split their two meetings earlier in the season, anyone expecting a close game was disappointed. Up 2-0 at the break, Rangers romped to a 7-0 victory with goals from Charlie Miller, Gascoigne, Oleg Salenko, and four from Gordon Durie. Despite the scoreline, one of the most memorable moments came when Gascoigne got a ridiculous booking. Noticing that referee Dougie Smith had dropped his yellow card, the midfielder went to return it to him and, in doing so, pretended to book him first. Although Gascoigne clearly intended the gesture as a mild joke, Smith failed to see the humor and immediately flashed the card back at Gascoigne. The caution was Gascoigne's fifth of the season, forcing him to miss Rangers' next two games against Celtic and Falkirk. But while they played to a scoreless draw with Celtic, they went on to win the title by four points over their rivals. Labels: Charlie Miller, Dougie Smith, Gordon Durie, Hibernian F.C., Oleg Salenko, Paul Gascoigne, Rangers F.C. On 29 December 2007, Reading played in the second of the Premier League's two highest-scoring games, losing both. The first was a 7-4 defeat to Portsmouth on 29 September that beat the previous record of nine goals set by Southampton's 4-5 win over Norwich in April 1994. The loss dropped the Royals into seventeenth place in the Premier League table, but they fought their way back into twelfth before traveling to White Hart Lane to face Tottenham two months later. There, they conceded an early goal to Spurs striker Dimitar Berbatov (pictured) in the seventh minute, but equalized nine minutes later through midfielder Kalifa Cissé. In the second half, Reading pulled ahead with a 53rd-minute goal from Ívar Ingimarsson, but Berbatov scored again ten minutes later to make it 2-2. Berbatov scored a third (73') in between a brace from Reading's Dave Kitson (69', 74') and Reading led 3-4. But a late onslaught from Spurs saw goals from Steed Malbranque (76'), Jermain Defoe (79'), and a fourth from Berbatov (83') as the hosts won 6-4 to hit the second-highest scoring mark since the creation of the Premier League in 1992. The overall English record, however, was set at 17 when Tranmere Rovers beat Oldham Athletic 13-4 in the Third Division South in 1935. Although Reading dropped only one spot in the table after the loss to Spurs, it was the first of eight consecutive league losses, a run that pushed them down to 18th by the end of February, which is where they ended up in the final table. Although level on points with Fulham, Reading were the ones relegated, separated from safety by a goal differential of -25 to Fulham's -22. On 28 December 1911, the NCAA officially recognized association football as an approved college sport in the United States. Established in 1906, the National Collegiate Athletic Association organizes and enforces the rules and regulations of its member schools. While there are currently over 1,000 such members, there were 92 in December 1911, when the organization's Rules Committee met at the Hotel Astor in New York City to consider making changes to the rules for gridiron football. While they ultimately decided against any changes for that sport, several representatives took the opportunity to advocate for association football, including Dr. James Babbitt of Haverford College (pictured), who "told about the great popularity of the game around Philadelphia" and "praised the game highly, saying that it was a sport in which boys and men take a great delight because they all could play it without having any special athletic talent." Upon the urging of Dr. Babbitt and several others, the NCAA appointed a new committee "to take up the game and advocate its institution at all schools and colleges." 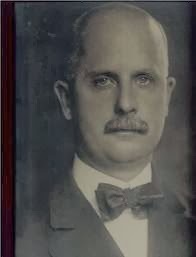 In addition to Dr. Babbitt, the committee included William Garcelon of Harvard, Dr. Page of Andover, H.E. Ford of Washington and Jefferson, and James Naismith of Kansas, the inventor of basketball. The game eventually took root at the collegiate level and in 1959 the NCAA started a national championship tournament. 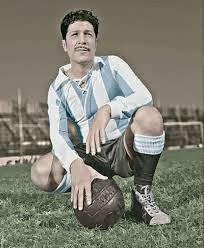 On 27 December 1966, Argentina star player and manager Guillermo Stábile died at the age of 61. A center forward, he joined Huracán as a youth player in 1920, then played there professionally from 1924 to 1930. In that time, he scored 102 goals in 119 appearances, winning the Primera División title in 1925 and 1928. 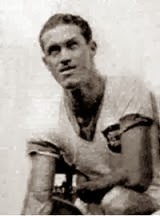 In the summer of 1930, he participated in the inaugural World Cup, getting his first cap against Mexico in Argentina's second match of the tournament. He scored a hat-trick en route to a 6-3 victory, followed by a brace in the next game against Chile as Argentina topped their group. He scored two more against the United States in the semifinals, then netted in the final against Uruguay. Although Argentina lost that match 4-2, Stábile's eight goals made him the tournament's top scorer. His performance attracted the attention of Genoa, where he played from 1930-34 before moving to Napoli for the 1934-35 season. he returned to Genoa briefly in 1935, then closed out his playing career with Red Star Paris, serving as player-manager from 1937 to 1939 when he left to manage Argentina. As manager, he guided the national team to six South American Championships between 1941 and 1957 and the Panamerican Championship in 1960. While in charge there, he also took the reins of several different clubs, including San Lorenzo (1939-40), Estudiantes de la Plata (1940-41), Hurancán (1940-49), and finally Racing Club (1949-60), whom he led to three league titles. In 1960, he stepped down to become the director of Argentina's national school of football, holding that post until his death in 1966. On 26 December 1860, Sheffield FC won the first match played between two different clubs, beating Hallam FC 0-2. Formed in 1857 as a way to keep cricketers fit in the winter, Sheffield became the world's first football club. For their first three years, they had no opponents, so were limited to playing intrasquad games. That changed in 1860 with the establishment of a second Sheffield club, Hallam FC. Hallam hosted that first game at Sandygate Road, though the teams used Sheffield FC's set of rules, leading to the rivalry taking the name the Rules derby. Hallam also had a extra player, fielding fourteen men against Sheffield's thirteen. But the man advantage gave way to experience as the visitors ended up 0-2 winners. Although the two teams currently compete in different levels of the English football pyramid, they keep the rivalry alive with friendlies, including a recent friendly in July 2013 that Sheffield won 4-2. On 25 December 1918, Arsenal's Double-winning manager Bertie Mee was born in Nottinghamshire. In the 1930s, he played for Derby County and Mansfield Town, but his career was ended by injury. He then turned to physiotherapy while serving as a member of the Royal Army Medical Corps. It was in that role that he first joined Arsenal, signing up with the club in 1960. When the Gunners sacked manager Billy Wright in the summer of 1966, they promoted Mee to the position. Reportedly, he was unsure about the move and asked for a clause allowing him to return to his physio post after a year if the new appointment did not go well. But the team finished seventh in that first season, encouraging him to stick with it. In 1970, he guided the club to the Fairs Cup Final, where they beat Anderlecht 4-3 on aggregate. The next year, they won their first league title since 1953 and also won the FA Cup to complete the club's first Double. The results faltered over the next few years and Mee was replaced in 1976 by Terry Neill. In 1978, he joined Watford as a scout and in 1984 he was honored as an Officer of the Order of the British Empire for his services to football. He died in 2001 at the age of 82. 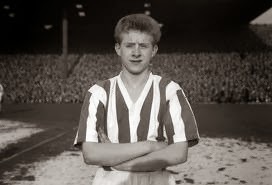 On 24 December 1956, Denis Law made his professional debut for Huddersfield Town in a 1-2 away win over Notts County. Manager Andy Beattie signed Law in April 1955 despite reportedly calling him an unlikely prospect who was "weak, puny, and bespectacled." Unsurprisingly, the young forward failed to get playing time for his first season there, which ended in relegation. But as the team struggled in Division Two at the start of the 1956-57 season, Beattie resigned in November and was replaced by his assistant Bill Shankly, who apparently had a higher opinion of Law. Law made his first professional appearance at the age of 16 years and 303 days, making him the youngest first-team player in club history. Huddersfield went on to win 1-2 over Notts County, with both of their goals scored by forward Ron Simpson. Law went on to star for Huddersfield over the next three seasons. Shankly left for Liverpool in 1959 and tried to bring Law with him, but Liverpool could not afford him. In 1960, he moved to Manchester City for a British-record fee of £55,000, then broke it when he moved from Torino to Manchester United for £115,000 in July 1962. There, he went on to win domestic and European trophies, including the 1964 Ballon d'Or. 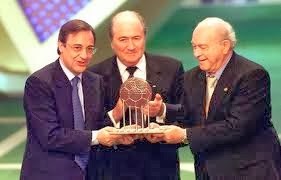 On 23 December 2000, FIFA recognized Real Madrid as the Club of the Century. The award was part of a series of centennial honors organized by FIFA for the end of 2000, including both make and female Players of the Century. The latter two were selected by an international jury, readers of FIFA's website, and subscribers to the bi-monthly publication FIFA Magazine. Club of the Century, however, was chosen exclusively by the magazine subscribers. When the results were revealed, Real Madrid were the overwhelming choice, receiving just over 42% of the vote while no other club crossed the 10% mark. The other vote recipients in the top five were Manchester United (9.69%), Bayern Munich (9.18%), and Barcelona (5.61%), while Santos and Ajax were tied at 5.10%. The Player of the Century awards were split, with Pelé and Diego Maradona sharing one and Michelle Akers and Sun Wen sharing the other. 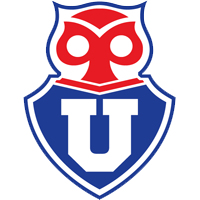 On 22 December 2011, a loss to Católica ended Universidad de Chile's unbeaten streak at 36. But they consoled themselves with their second of three straight league titles. UDC, who won the 2011 Apertura Final over Católica the previous June, last lost on 13 July, falling 0-2 to Magallanes in the Copa de Chile. Afterward, they went on a tremendous run that included the Copa Sudamerica, which they won over LDU Quito on 14 December to extend their unbeaten run to 35 games in all competitions, bettering their 33-game streak from 1999. For their 36th game, they beat Católica 1-2 in the first leg of the 2011 Clausura semi-finals on 18 December, then hosted Católica for the second leg four days later. After conceding a 42nd-minute goal to Católica's Kevin Harbottle, UDC drew level with a strike from Osvaldo González in the 59th minute. The game remained 1-1 until stoppage time, when José Luis Villanueva scored for the visitors to set the final margin as a 1-2 win for Católica. Although the goal put the two teams levels on points and goal differential, UDC still advanced by virtue of having finished higher than Católica in the classification phase. They went on to defend their title successfully, beating Cobreloa in the final, then defended it again in the 2012 Apertura. 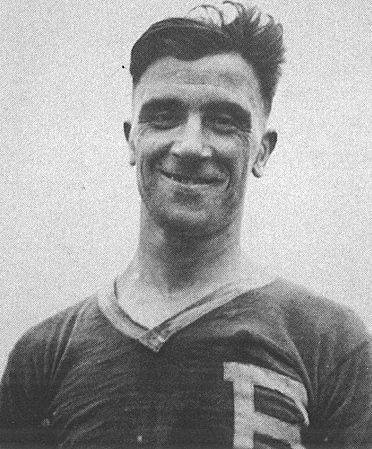 On 21 December 1897, legendary American goalscorer Archie Stark was born in Glasgow. He moved to the US when he was thirteen, settling with his family in New Jersey, which was a hotbed of association football. In 1912, he signed his first professional contract with Kearny Scots and stayed there for four seasons, followed by spells with other New Jersey clubs Babcock & Wilcox (1916-17), West Hudson (1917), and--after service in France during World War I--Paterson (1919) and Erie (1919-21). When the American Soccer League formed in 1921, Stark joined the New York Field Club and helped them finish as league runners-up. He spent two more seasons there, scoring a total of 56 goals in 80 appearances, then moved to Bethlehem Steel for the 1924-25 season. His scoring form exploded as he netted an incredible 70 times in 46 games, followed by 54 in 45 games in the 1925-26 season when Bethlehem Steel won the National Challenge Cup. In both seasons, he was the league's top scorer. He went on to win three league titles with Bethlehem Steel before leaving the club for the Newark Americans in 1930, then retired in 1934 after a season with Kearny Irish. Despite his scoring prowess, he made only two appearances for the US national team, both coming against Canada in 1925. He scored five goals. On 20 December 1945, Brazil got their biggest win over Argentina, beating them 6-2 in the Roca Cup. The Roca Cup was a contest between the two national teams played at irregular intervals from 1914 and 1976. There were four previous tournaments, of which Argentina won the last three. The most recent one consisted of three games in 1940, with Argentina winning two of them by margins of 6-1 and 1-5. The 1945 tournament, hosted by Brazil, also included three games, played between 16 December and 23 December. Brazil won the first match 3-1 in São Paulo, then moved to Rio de Janeiro for the second one. There, Argentina took the lead with a 31st-minute goal from Adolfo Pedernera, but Brazil got strikes from Ademir Menezes (pictured) (34') and Leonidas da Silva (39') to lead 2-1 at the break. Argentina drew level in the 46th minute through Rinaldo Martino, but then the floodgates opened for Brazil with goals from Zizinho (64'), Chico (75'), Heleno de Freitas (82'), and another from Ademir (84'). The 6-2 scoreline remains Brazil's biggest margin of victory over Argentina (though Argentina's 6-1 win in 1940 remains the largest win in the rivalry). Brazil went on to win the third game 3-1 and claimed the Roca Cup for the first time since 1922. 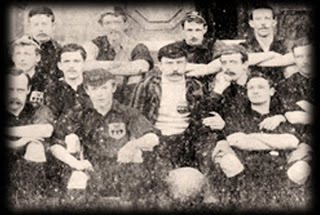 On 19 December 1863, the first match to be played under the FA's new Laws of the Game ended in a scoreless draw. Prior to that, most clubs used either the Cambridge Rules, which allowed players to use their hands but prevented running with the ball, and the Shefffield Rules, which allowed players to push or hit the ball with their hands, but not carry it. Clubs were free, however, to adopt their own sets of rules. 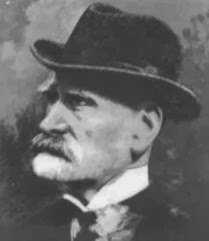 Led by Ebenezer Cobb Morley (pictured), the Football Association formed in October 1863 and, in a series of meetings that stretched into December, crafted a uniform set of laws. Morley prepared the new rules, which still allowed players to catch the ball, but not run with it in their hands, and the FA approved them on 8 December. They organized a match to be played in January, but soon decided that they could not wait and pushed the date up to 19 December. Barnes FC, whose roster included Morley, hosted Richmond FC at Limes Field, where the game ended 0-0. While the match didn't lead to the immediate universal adoption of the FA's new rules, they eventually became the official laws for association football and were later modified into the current Laws of the Game. On 18 December 2001, Arsenal lost to Newcastle 1-3. It was their last loss of the season as they went on to win the title. The two teams started the day in second and third, with Arsenal ahead only by virtue of a better goal differential. They hosted Newcastle at Highbury on a Tuesday, and took a 20th-minute lead with a goal from Robert Pires. But two minutes before the break, referee Graham Poll ejected Arsenal midfielder Ray Parlour, who received his second yellow card of the day for tripping Newcastle's Alan Shearer. Newcastle made their advantage pay off in the second half, with Andy O'Brien equalizing in the 60th minute. Then, in the 85th minute, Poll awarded a penalty to the visitors for Sol Campbell's foul on Laurent Robert and Shearer converted the kick to put Newcastle up 1-2. Robert scored in stoppage time to extend the final margin to 1-3, giving the Toon their first win in London since 1997 and sent them to the top of league over Liverpool. Arsenal regrouped, however, and went undefeated for the remainder of the season. They won their last thirteen matches, including an away win over Newcastle, to win the league seven points clear of runners-up Liverpool with a record of 26 wins, 9 draws, and only 3 losses. On 17 December 1993, US Soccer Federation President Alan Rothenberg announced the formation of Major League Soccer as the country's new top flight. The new league was part of the deal between the USSF and FIFA that included the US hosting the 1994 World Cup. The agreement included several provisions for the promotion of the sport in the United States, including the establishment of a new professional outdoor league, which the country had not had since the NASL's last season in 1984. So in December 1993, after receiving FIFA approval for the plans, Rothenberg unveiled the new league and logo, with play expected to start in 1995 with twelve teams. 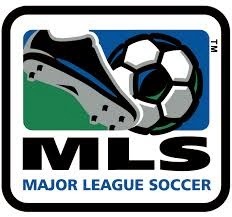 The launch was later delayed to 1996 and the initial number of teams reduced to ten, but after a series of expansions and contractions, MLS currently has nineteen teams across the United States and Canada, with another two expected to start play in 2015. On 16 December 1991, Nîmes striker Eric Cantona officially quit football, buying out his contract with the club. He didn't stay gone for long, though. 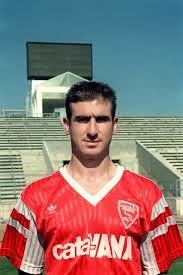 The 25-year old Cantona, who had shined for Auxerre, Marseille, Bordeaux, and Montpellier before joining Nîmes at the start of the season, had overshadowed his footballing ability with a reputation for volatility, including multiple suspensions, fines, and bust-ups with teammates. In a match played in early December 1991, he got into trouble for throwing the ball at the referee. The French Football Federation suspended him for a month, then doubled the ban after Cantona insulted the members of the disciplinary committee. On 12 December, his growing frustration with French authorities led him to announce that he was retiring from football with immediate effect. Four days later, out of a desire to be fair to Nîmes, he reached an agreement to cancel his contract, assuming an obligation to pay the club £900,000. Soon after, however, his friend Michel Platini convinced him to return to football with a clean slate by moving to England. In Janjuary 1992, after an initial brief trial with Sheffield Wednesday, Cantona signed with Leeds United, who paid the money due to Nîmes. He spent only a few months there, however, before moving to Manchester United in November 1992, where he remained until his second retirement in 1997. There, he became one of the club's biggest stars, though he continued to get into trouble, including a 1995 suspension for kicking a Crystal Palace supporter. 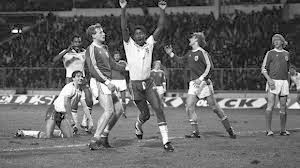 On 15 December 1982, England got goals from a record number of scorers when they beat Luxembourg 9-0 in a European qualifier. And one of them wasn't English. The match, played at Wembley, was the third of the qualification campaign for both teams, with England taking a win and draw in their previous two and Luxembourg losing both of theirs. So it was no surprise when the hosts took a 1-0 lead in the 18th minute, though the scorer's identity may have been—Luxembourg's Marcel Bossi put the ball into his own net while trying to clear a square ball from Luther Blissett. It was only the beginning of what turned out to be the most lopsided result of the campaign for either team. By the break, England were up 4-0 with additional goals from Steve Coppell (22'), Tony Woodcock (34'), and Blissett (44'). Blissett scored twice more in the second half (62', 86') along with Mark Chamberlain (71'), Glenn Hoddle (87'), and Phil Neal (89') to stretch the final margin to 9-0. The seven different scorers (including Bossi) set an England record for the largest number of scorers in a single match. But it wasn't enough for England to qualify, as they ultimately finished second to Denmark in the group and missed out on the tournament. 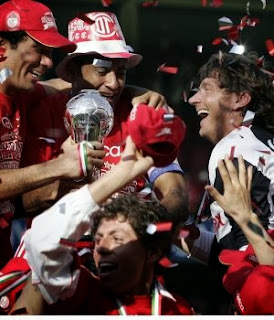 On 14 December 2008, Toluca held off Cruz Azul in a penalty shootout to win their ninth league title. Cruz Azul, who were looking for their first title since 1997, had reached the Clausura final the previous May only to fall to Santos Laguna 3-2 on aggregate. Toluca, meanwhile, had not been to the final since December 2006 and last won it in December 2005. The teams' two meetings in the regular season both ended in 1-1 draws, suggesting a competitive pair of matches when they reached the final of the post-season tournament. But in the first leg, hosted by Cruz Azul in Mexico City on 11 December, Toluca comfortably won 0-2 with first-half goals from Paulo da Silva (14') and Sergio Amaury Ponce (21'). They took that lead back to the Bombanera in Toluca, where they hosted the second leg three days later. There, Cruz Azul kept a clean sheet while getting goals from Alejandro Vela (49') and Julio Dominguez (77') to draw level on aggregate, forcing extra time, then a shootout. Both teams were perfect through six kicks. Toluca's Edgar Dueñas then converted their seventh with a little bit of luck--his shot hit the crossbar and dropped in front of the goal, but hit the back of keeper Yosgart Gutiérrez and rebounded across the line. Vela, kicking for Cruz Azul, was not as lucky, as his low shot was saved by keeper Hernán Cristante to end the final at 2-2 (7-6) and put the trophy in Toluca's hands. On 13 December 2009, Persipura beat PSPS to start an Indonesian record 37-game unbeaten streak. Winners of the Indonesia Super League in 2008-09, Persipura were campaigning to defend the title, but started the new season in disappointing fashion by winning only two and losing three of their first nine league matches. But they had an opportunity to get on track against newly-promoted PSPS Pekanbaru in their tenth match. A meager crowd of only 500 showed up at Persipura's Stadion Andi Mattalatta for the match and saw the hosts go up 2-0 in the first half with a brace from Brazilian midfielder Beto Gonçalves (23', 33'). Persipura held that lead until late in the second half, when PSPS finally found the net in the 89th minute. But that was the final goal of the game, which ended 2-1. Persipura went on to go unbeaten over the rest of the season, but it wasn't enough to hold on to the title; they finished as runners-up to Arema by six points. The run extended into the next season, however, reaching a total of 37 games and helping Persipura reclaim the league title in 2010-11. On 12 December 2012, São Paulo won the Copa Sudamericana after Tigre, their opponents in the final, refused to play the second half. The final was scheduled to be played over two legs, with the first ending in a scoreless draw in Buenos Aires on 5 December. When the teams reconvened in São Paulo for the second leg a week later, the hosts went up 2-0 in the first half with goals from Lucas Moura (22') and Osvaldo (28'). But when São Paulo stepped out for the second half, they were the only team there. Tigre refused to come out of the locker room, claiming that they were attacked during the break by group of about twenty men, including police officers. Tigre manager Nestor Gorosito said that the police pulled guns on his players and even pointed one directly at goalkeeper Damian Albil, while other players were beaten with sticks. Video of a blood-stained locker room appeared to confirm Gorosito's account. 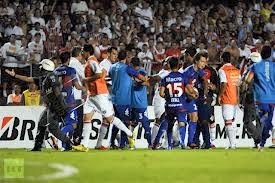 Tigre lodged a formal complaint, but the Copa Sudamericana organizers handed the title to São Paulo. 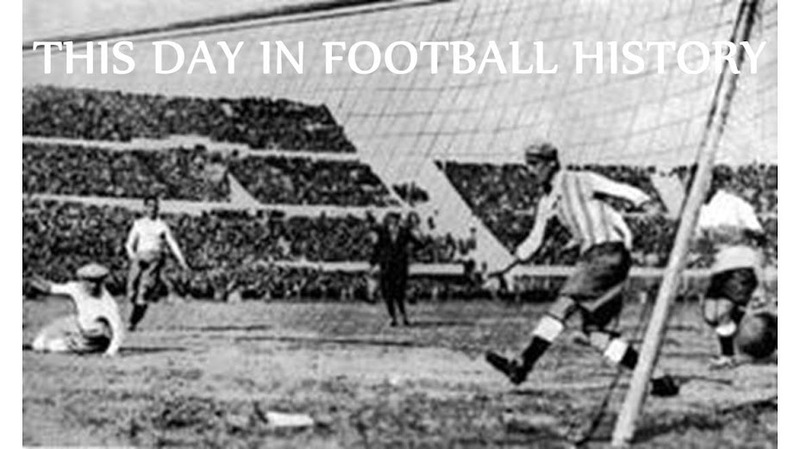 On 11 December 1911, Cuba had its first organized football match, with Rovers AC beating SC Hatuey 1-0. The sport had been played prior to that informally, introduced by the British in the early 1900s. In 1907, a group of players in Havana formed the country's first club, Sport Club Hatuey. Then, in 1909, a group of British citizens in Havana established Rovers Athletic Club. The two teams finally met at the Campo de Palatino in 1911, where Rovers' Jack Orrs scored the only goal of the match. 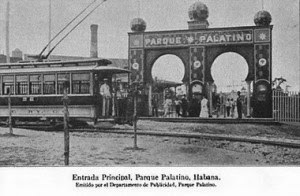 Rovers went on to win the first Cuban league title in 1912, while Hatuey won it in 1913. Another title for Rovers in 1914 was the last for either club. Since then, FC Villa Clara have emerged as the country dominant club with a total of thirteen league titles, including the last three straight. On 10 December 2004, FIFA announced the restoration of the Club World Championship, replacing the Intercontinental Cup. Dating back to 1960, the Intercontinental Cup matched the Copa Libertadores champions against the European Cup/Champions League winners, with the winner claiming the unofficial title as world champions. Originally played as a two-legged home and away series, in 1980 it rebranded as the Toyota Cup and switched to a single-game format, with the match played in Tokyo. Meanwhile, in 2000, FIFA held a separate competition called the Club World Championship. Eight teams participated--one each from CONCACAF, CAF, AFC, and OFC, plus two from both UEFA and CONMEBOL. Although FIFA planned it as a continuing tournament, they eventually canceled the 2001 edition due in part to the loss of their marketing partner. But in 2004, they decided to revive it, merging their earlier concept with the Toyota Cup. Played in Tokyo, the tournament included the winners of each of the six confederation championships in a knockout-round format. São Paulo won the first one, beating Liverpool 1-0 in the final. Now known as the Club World Cup, FIFA holds the tournament every year, with Corinthians winning the most recent one in 2012. On 9 December 2012, Lionel Messi scored twice to beat Gerd Müller's record for goals in a calendar year. But it turned out not to be quite the record everyone thought it was. 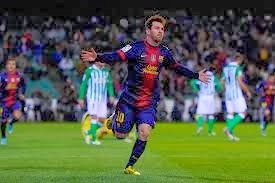 Going into Barcelona's away match against Real Betis, Messi was sitting on a total of 84 goals scored in 2012 for his club and Argentina, putting him one behind the mark of 85 set by Gerd Müller in 1972 for Bayern Munich and Germany. But he scored twice in the first half (16', 25') to surpass Müller's record and Barcelona went on to win 1-2. Afterward, several post-match reports referred to Messi's achievement as a world record. But the Football Association of Zambia claimed that one of their players, Godfrey Chitalu, scored a massive 107 goals in 1972, the same year that Müller reached his own record. FIFA refused to recognize either accomplishment, citing issues of proof, so they remain unofficial for now, with Messi having the European record and Chitalu having the overall world record. Messi went on to score another five goals before the end of the year, taking his number to 91. 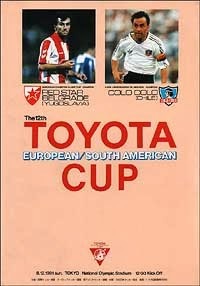 On 8 December 1991, Red Star won the Intercontinental Cup, beating Colo-Colo 3-0 despite having only 10 men for more than half the match. The most successful club in Chile, Colo-Colo were in the midst of their brightest period, having won three straight league titles from 1989 to 1991 as well as the 1991 Copa Libertadores. Red Star's pedigree was just as strong, however, including three of the last four Yugoslav First League titles and the 1991 European Cup. They also had center forward Darko Pančev, the league's top scorer in 1990 and 1991. But when the teams met in Tokyo, the star of the day was midfielder Vladimir Jugović, who scored twice (19', 58') to give Red Star a 2-0 lead. His first goal capped the end of a dynamic passing attack as Jugović surged into the box to reach a low cross, then blasted it past keeper Daniel Morón. His second came after a scramble in the box that left Morón out of position and let Jugović knock the ball into an unguarded net from six yards out. In between, Red Star lost midfielder Dejan Savićević—who had provided the assist for Jugović's first goal—to a 42nd-minute red card. Pančev finally got on the scoresheet late, as midfielder Siniša Mihajlović outraced his defender to go one-on-one with Morón, then crossed the ball to Pančev for an easy finish and a final score of 3-0. On 7 December 1932, England ended the Austrian Wunderteam's 14-game unbeaten streak with a 4-3 win at Stamford Bridge. Led by manager Hugo Meisl and assisted by Jimmy Hogan, the Austrian side used a fast-moving flowing attack built on quick passing that saw them become one of the most prominent and successful teams in Europe. Starting in April 1931, they rattled off a string of fourteen unbeaten matches, including dominant wins over Germany (6-0, 5-0), Scotland (5-0), and Hungary (8-1). England were on a seven-game unbeaten streak of their own, including a 7-1 win over Spain at Highbury in December 1931. They met for a friendly at Stamford Bridge, drawing a crowd of 42,000. 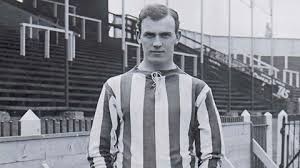 There, England took a 2-0 lead with goals from Samuel Crooks (5') and Jimmy Hampson (pictured) (27'), but Austria's Karl Zischek halved the deficit with a 58th-minute strike. Unfazed, England restored the margin to 3-1 with a goal from Eric Houghton (77'), giving the appearance that the game was all but over. The scoring was not done, however. Austrian star Matthias Sindelar scored in the 80th minute, followed by another England goal from Hampson two minutes later. Zischek found the net again in the 87th minute to set up a wild finish, but the hosts weathered the storm and held on for the 4-3 win. On 6 December 2011, Clint Dempsey became the Premier League's highest-scoring American with his match-winner against Liverpool. Dempsey moved to the Premier League in January 2007 to play for Fulham, joining his compatriots Brian McBride and Carlos Bocanegra. He went on to make ten appearances that season, scoring a single goal. By the following season, he began to feature regularly, scoring six goals in 36 league appearances, though the club escaped relegation that year only by virtue of goal differential. He continued to feature for them over the next three seasons, scoring 7, 7, and 12 goals as the club finished seventh, twelfth, and eighth. By the time they hosted Liverpool in December 2011, Dempsey had raised his league goal total to 36, matching the record for an American in the Premier League, which, coincidentally, had been set by McBride. With the match scoreless deep into the second half, Liverpool's Jay Spearing received a straight red card in the 72nd minute, giving the hosts a man advantage for the remaining eighteen minutes. And they needed almost all of them, with Dempsey finally breaking the deadlock with an 85th-minute goal that also broke McBride's record. Dempsey proceeded to raise his Premier League total to 50 before moving to Tottenham for the 2012-13 season, then added another seven before returning to the US in 2013 to play for Seattle. Labels: Brian McBride, Clint Dempsey, Fulham FC, Jay Spearing, Liverpool F.C. On 5 December 1908, Sunderland got their largest league win, beating rivals Newcastle 1-9. It was the twenty-first league meeting in a rivalry that dates back to 1898. Of those, Sunderland had won ten and Newcastle had won five, with five draws (they also met once in the FA Cup, with Newcastle taking that one). Up to that point, neither team had won by more than two goals and neither had scored more than four in any match. That changed in 1908 when Sunderland visited St. James' Park. There, Sunderland captain Billy Hogg put the Black Cats up in the eighth minute, but Newcastle pulled level before the break with a penalty. The second half, though, belonged to the visitors. 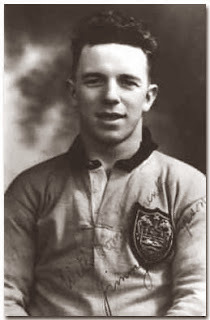 Within the span of 28 minutes, Sunderland got eight goals, including a hat-trick from inside-left George Holley (pictured). Hogg matched him with two more goals of his own, with Arthur Bridgett (2) and Jackie Mordue making up the balance. According to a post-match report, "The Sunderland forwards simply lined up in procession time after time, left their opponents floundering in the roar, and bombarded and shelled the goal as easily they would light a cigarette." In addition to being Sunderland's largest margin of victory, the 1-9 scoreline matched an English top-flight record for an away win, first set by West Brom in 1893. Although Wolves got the same margin in 1955, it remains unsurpassed. Newcastle may have lost the day, but they got their revenge by winning the league that season, nine points clear of Sunderland who finished third. Labels: Arthur Bridgett, Billy Hogg, George Holley, Jackie Mordue, Newcastle United F.C., Sunderland A.F.C. On 4 December 1994, after going down 0-2, Alessandro Del Piero scored a wonder goal to complete Juventus' comeback over Fiorentina. The 20-year forward had joined Juventus the previous year after spending his first two seasons at Padova. 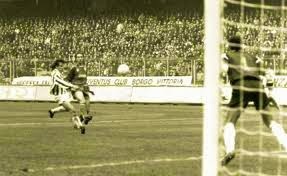 He impressed on his debut, scoring a hat-trick against Parma that spring. But even that performance didn't prepare the club for what was to come. Hosting Fiorentina at the Stadio Delle Alpi in December, Juventus conceded first-half goals to Francesco Baiano (24') and Angelo Carbone (35') to go into the break down 0-2. But in the second half, Gianluca Vialli scored twice in a four-minute span (73', 76') to bring the hosts level. Then, in the 87th minute, as it appeared that the teams would share the points, Del Piero struck. With a long ball coming in from just inside the midfield stripe, Del Piero raced down the left side of the pitch and into the box, connecting with a right-footed volley that put the ball into the top corner. It was an incredible display of skill that secured a 3-2 victory and established Del Piero as a rising star. Juventus went on to win the league that season, their first Scudetto in eight years. Del Piero stayed with the club until 2012, making a total of 705 appearances and scoring 290 goals while winning five more league titles (not counting the two stripped from the club as a result of the Calciopoli match-fixing scandal). Labels: A.C.F. Fiorentina, Alessandro Del Piero, Angelo Carbone, Francesco Baiano, Gianluca Vialli, Juventus F.C. On 3 December 2012, after going unpaid by his club for several months and unable to afford medical care, forward Diego Mendieta died in an Indonesian hospital from a treatable virus. He was 32. Originally from Paraguay, Mendieta had been playing in Indonesia for several years. Most recently, he had signed with Persis Solo in Surakarta. But the club stopped paying him for several months toward the end of 2012, owing him at least $12,500 according to some reports. The lack of funds prevented him from leaving the country and forced him to rely on friends for even the basic necessities such as food. In November 2012, he contracted an infection of cytomegalovirus, normally treatable with an anti-viral medication. Although he visited three different hospitals, he was unable to pay for care, so the infection went undiagnosed and untreated until it was too late. 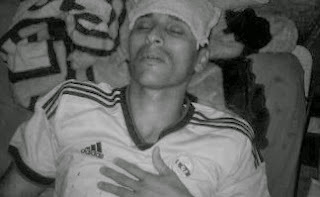 Mendieta's plight did not become common knowledge until after his death, at which point the player's union, FIFPro, got involved. A few days later, they reported that Persis Solo had delivered the back pay to Mendieta's widow and paid to deliver his body to Paraguay. For more on Mendieta, read the story written by James Masters for CNN. 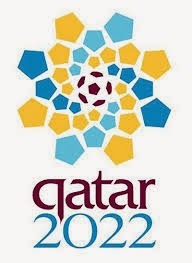 On 2 December 2010, in a decision that became a lightning rod for controversy, FIFA awarded the 2022 World Cup to Qatar. FIFA announced the hosts of both the 2018 and 2022 tournaments, with the former going to Russia over a bid from England and combined bids from the Netherlands/Belgium and Spain/Portugal. But while that decision drew criticism of its own, it was the 2022 tournament host that sparked the loudest outcry. Qatar's weather sat at the forefront of all concerns, with temperatures there in the summer reaching over 110° Fahrenheit (43.33° Celsius), posing a risk for players and other attendees. In its bid, selected over competition from the United States, Australia, Japan, and South Korea, Qatar proposed building five new climate-controlled stadiums. Skeptics immediately questioned the feasibility of that plan and just a few days after it announced the decision, FIFA began entertaining the idea of moving the 2022 tournament to the winter. Other criticisms focused on the country's poor human-rights records, particularly with regard to discrimination against homosexuals, to which FIFA President Sepp Blatter responded by saying that those concerned should simply "refrain from any sexual activities" while in Qatar. The country's treatment of migrant workers presented another issue, fueled by reports of deaths among Nepalese laborers brought in to help prepare for the tournament. In late 2013, Qatar again found itself in a negative spotlight over the country's refusal to grant an exit visa to French footballer Zahir Belounis. After trying to leave the country for over two years, Qatar finally allowed Belounis to leave that November. 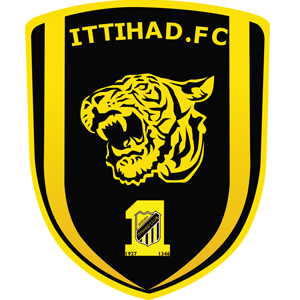 On 1 December 2004, Al-Ittihad Jeddah overcame a first-leg deficit to win the first of two consecutive AFC Champions League trophies. Previously, their best performance had been reaching the quarterfinals in 2000-01, when the tournament was still named the Asian Club Championship. But in 2004, they advanced all the way to the final, where they faced South Korean side Seongnam Ilhwa Chunma, who won the tournament in 1995 and finished as runners-up in 1997. In the first leg, played in Saudi Arabia on 24 November, Seongnam won 1-3. The teams then met in South Korea for the second leg on 1 December. There, the visitors took the lead with a 27th-minute goal from center back Redha Tukar, who had scored the team's only goal in the earlier game. Striker Hamzah Idris added a second in first-half stoppage time to put the visitors up 0-2. Ittihad kept the pressure up in the second half, getting a brace from Mohammed Noor (55', 78') and a final goal from Manaf Abushgeer (90+5') to extend the final margin to 0-5 and the aggregate score to 6-3. They repeated as champions the following year, beating the UAE's Al Ain 5-3 on aggregate, while Seongnam returned to the final in 2010, winning it over Iran's Zob Ahan.